Upon accepting his 20th NAACP Image award for outstanding actor in a motion picture in “Fences,” Denzel Washington spoke at length, motivating the newer artists who were listening. While the year’s past achievements in television and film were highlighted, host Anthony Anderson couldn’t help but touch on the present political climate in his monologue. He used the latter half of his speech to commend the legacy of the Obama administration, even asking the nation “to make room on Mount Rushmore” for the 44th president. 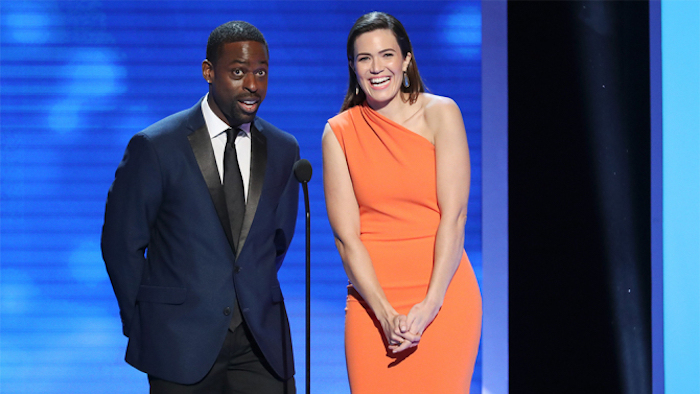 The audience also included Rep. Maxine Waters, Dwayne Johnson, Kerry Washington, Uzo Aduba, Tracee Ellis Ross, Terrence Howard, Taraji P. Henson, Regina King, Laverne Cox, TV One founder Cathy Hughes, and the entire adult cast of NBC’s “This Is Us,” which stood up to cheer after Sterling K. Brown took the best actor in a drama series trophy. The ceremony not only presented awards to entertainers, but to community activists and humanitarians as well. Harvard Law School professor Charles J. Ogletree Jr. and historian Lonnie G. Bunch, III also received honors at the star-studded event. Bunch, who is the founding director of the Smithsonian’s National Museum of African American History and Culture in Washington, D.C., accepted his award thanking the NAACP for the part that it has played in history. “There is nothing more noble honoring all of our ancestors than remembering,” he ended, receiving a standing ovation. After the ceremony, guests at the Pasadena Civic Auditorium kept the celebration going with cocktails, dinner and live performances in the ballroom next door.